"The Catholic Hour" redirects here. For the TV series, see The Catholic Hour (TV series). Fulton John Sheen (born Peter John Sheen, May 8, 1895 – December 9, 1979) was an American bishop (later archbishop) of the Catholic Church known for his preaching and especially his work on television and radio. Ordained a priest of the Diocese of Peoria in 1919,  Sheen quickly became a renowned theologian, earning the Cardinal Mercier Prize for International Philosophy in 1923. He went on to teach theology and philosophy at the Catholic University of America as well as acting as a parish priest before being appointed Auxiliary Bishop of the Archdiocese of New York in 1951. He held this position until 1966 when he was made the Bishop of Rochester from October 21, 1966, to October 6, 1969, when he resigned  and was made the Archbishop of the titular see of Newport, Wales. Life is Worth Living was an inspirational American television series which ran on the DuMont Television Network from February 12, 1952, to April 26, 1955, then on ABC until 1957, featuring the Venerable Archbishop Fulton J. Sheen. An Emmy Award, or simply Emmy, is an American award that recognizes excellence in the television industry, and is the equivalent of an Academy Award, the Tony Award, and the Grammy Award. The Eternal Word Television Network, more commonly known by its initialism EWTN, is an American basic cable television network which presents around-the-clock Catholic-themed programming. It was founded by Mother Angelica, PCPA, in 1980 and began broadcasting on August 15, 1981, from a garage studio at the Our Lady of the Angels Monastery in Irondale, Alabama, which Mother Angelica founded in 1962. She hosted her own show, Mother Angelica Live, until suffering a major stroke and other health issues in September 2001. Repeats now air as either the Best of Mother Angelica Live or Mother Angelica Live Classics. From then until her death on Easter Sunday of 2016, she led a cloistered life at the Shrine of the Most Blessed Sacrament in Hanceville, Alabama. The Congregation for the Causes of Saints is the congregation of the Roman Curia that oversees the complex process that leads to the canonization of saints, passing through the steps of a declaration of "heroic virtues" and beatification. After preparing a case, including the approval of miracles, the case is presented to the Pope, who decides whether or not to proceed with beatification or canonization. This is one of nine Vatican Curial congregations. El Paso is a city in Woodford and McLean counties in the U.S. state of Illinois. The population was 2,810 at the 2010 census. The Woodford County portion of El Paso is part of the Peoria, Illinois Metropolitan Statistical Area. Croghan, is a townland and a Village in the County Roscommon, Ireland. County Roscommon is a county in Ireland. In the western region, it is part of the province of Connacht. It is the 11th largest Irish county by area and 27th most populous. Its county town and largest town is Roscommon. Roscommon County Council is the local authority for the county. The population of the county was 64,544 according to the 2016 census. Academy of Our Lady and Spalding Institute were Catholic high schools across the street from each other in downtown Peoria, Illinois. Peoria is the county seat of Peoria County, Illinois, and the largest city on the Illinois River. Established in 1691 by the French explorer Henri de Tonti, Peoria is the oldest European settlement in Illinois, and is named after the Peoria tribe. As of the 2010 census, the city was the seventh-most populated in Illinois, with a population of 115,007. The Peoria Metropolitan Statistical Area had a population of 373,590 in 2011. Until 2018, Peoria was the global and national headquarters for Caterpillar Inc., one of the 30 companies composing the Dow Jones Industrial Average, and listed on the Fortune 100; in the latter year, the company relocated its headquarters to Deerfield, Illinois. Peoria County is a county in the U.S. state of Illinois. The 2010 United States Census listed its population at 186,494. Its county seat is Peoria. He was consecrated a bishop on June 11, 1951,  and served as an Auxiliary Bishop of the Archdiocese of New York from 1951 to 1965. The Principal Consecrator was the Discalced Carmelite Cardinal Adeodato Giovanni Piazza, the Cardinal-Bishop of Sabina e Poggio Mirteto and the Secretary of the Sacred Consistorial Congregation (what is today the Congregation for Bishops). The Principal Co-Consecrators were Archbishop Leone Giovanni Battista Nigris, Titular Archbishop of Philippi and the Secretary of the Congregation for the Propagation of the Faith (what is today the Congregation for the Evangelization of Peoples); and Archbishop Martin John O'Connor, Titular Archbishop of Laodicea in Syria and President Emeritus of the Pontifical Council for Social Communications. In 1966, Sheen was made the Bishop of Rochester. He served in this position from October 21, 1966, to October 6, 1969, when he resigned  and was made the Archbishop of the titular see of Newport, Wales. A popular instructor, Sheen wrote the first of 73 books in 1925, and in 1930 began a weekly NBC Sunday night radio broadcast, The Catholic Hour. Sheen called World War II not only a political struggle, but also a "theological one." He referred to Hitler as an example of the "Anti-Christ." Two decades later, the broadcast had a weekly listening audience of four million people. Time referred to him in 1946 as "the golden-voiced Msgr. 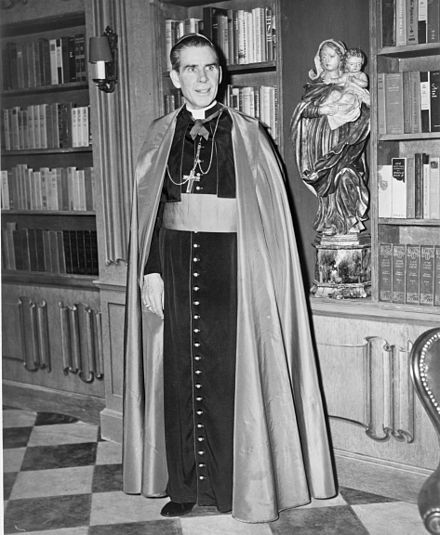 Fulton J. Sheen, U.S. Catholicism's famed proselytizer" and reported that his radio broadcast received 3,000–6,000 letters weekly from listeners. During the middle of this era, he conducted the first religious service broadcast on the new medium of television, putting in motion a new avenue for his religious pursuits. In 1951 he began a weekly television program on the DuMont Television Network titled Life Is Worth Living . Filmed at the Adelphi Theatre in New York City, the program consisted of the unpaid Sheen simply speaking in front of a live audience without a script or cue cards, occasionally using a chalkboard. The show ran until 1957, drawing as many as 30 million people on a weekly basis. In 1958, Sheen became national director of the Society for the Propagation of the Faith, serving for eight years before being appointed Bishop of the Diocese of Rochester, New York, on October 26, 1966. He also hosted a nationally syndicated series, The Fulton Sheen Program, from 1961 to 1968 (first in black and white and then in color). The format of this series was essentially the same as Life Is Worth Living. Spellman later took the issue directly to Pope Pius XII, pleading his case with Sheen present. The Pope sided with Sheen. Spellman later confronted Sheen, stating, "I will get even with you. It may take six months or ten years, but everyone will know what you are like." Besides being pressured to leave television, Sheen also "found himself unwelcome in the churches of New York City. Spellman cancelled Sheen's annual Good Friday sermons at St. Patrick's Cathedral and discouraged clergy from befriending the Bishop." In 1966, Spellman had Sheen reassigned to Rochester, New York, and caused his leadership at the Society for the Propagation of the Faith to be terminated (a position he had held for 16 years and raised hundreds of millions of dollars for, to which he had personally donated 10 million dollars of his own earnings). On December 2, 1967, Spellman died in New York City. Beginning in 1977 Sheen "underwent a series of surgeries that sapped his strength and even made preaching difficult." Throughout this time he continued to work on his autobiography, parts of which "were recited from his sickbed as he clutched a crucifix." Soon after an open-heart surgery at Lenox Hill Hospital,  Sheen died on December 9, 1979 in his private chapel in the presence of the Blessed Sacrament. He is interred in the crypt of St. Patrick's Cathedral, near the deceased Archbishops of New York. Joseph Campanella introduces the re-runs of Sheen's various programs that are aired on EWTN. Reruns are also aired on Trinity Broadcasting Network. In addition to his television appearances, Sheen can also be heard on Relevant Radio. The Archbishop Fulton J. Sheen Foundation was formed in 1998 by Gregory J. Ladd and Lawrence F. Hickey to make known the life of the archbishop. The foundation approached Cardinal John O'Connor of the Archdiocese of New York for permission to commence the process of for cause, which was under the authority of the Diocese of Peoria. In 2002, Sheen's Cause for Canonization was officially opened by Bishop Daniel R. Jenky, C.S.C., Bishop of the Diocese of Peoria, and from then on Sheen was referred to as a "Servant of God." On February 2, 2008, the archives of Sheen were sealed at a ceremony during a special Mass at the Cathedral of Saint Mary of the Immaculate Conception in Peoria, Illinois, where the diocese was sponsoring his canonization. 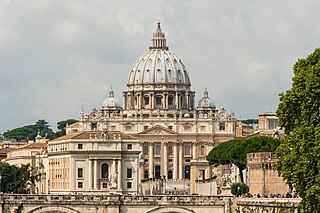 In 2009, the diocesan phase of the investigation came to an end, and the records were sent to the Congregation for the Causes of Saints at the Vatican in Rome. On June 28, 2012, the Vatican announced  officially that it had recognized Sheen's life as one of "heroic virtue", a major step towards an eventual beatification. From this moment on, Sheen is styled "Venerable Servant of God." According to Catholic News Service and The Catholic Post (the official newspaper of the Peoria Diocese), the case of a boy who as an infant had no discernible pulse for 61 minutes (who was about to be declared dead at OSF Saint Francis Medical Center in Peoria, Illinois, as a stillborn infant) and yet allegedly still lived to be healthy – without physical or mental impairment – is in the preliminary stages of being investigated as the possible miracle needed for Archbishop Sheen's potential beatification. If the miracle is approved at the diocesan level, and then by the Congregation for the Causes of Saints at the Vatican (being both medically unexplainable and directly attributable theologically to Sheen's intercession according to expert panels in both subject areas), then beatification may proceed. Another such miracle would be required for him to be considered for canonization. Saint Óscar Arnulfo Romero y Galdámez was a prelate of the Catholic Church in El Salvador who served as the fourth Archbishop of San Salvador. He spoke out against poverty, social injustice, assassinations, and torture. In 1980, Romero was assassinated while celebrating Mass in the chapel of the Hospital of Divine Providence. Though no one was ever convicted for the crime, investigations by the UN-created Truth Commission for El Salvador concluded that the extreme right-wing politician, founder of ARENA and death squad leader Roberto D'Aubuisson had given the order. Terence James Cooke was an American cardinal of the Roman Catholic Church. He served as Archbishop of New York from 1968 until his death. He was named a cardinal in 1969. The Roman CatholicArchdiocese of New York is a Latin Catholic archdiocese in New York State. It encompasses the boroughs of Manhattan, the Bronx and Staten Island in New York City and the counties of Dutchess, Orange, Putnam, Rockland, Sullivan, Ulster, and Westchester in New York. The Archdiocese of New York is the second-largest diocese in the United States, encompassing 296 parishes that serve around 2.8 million Catholics in addition to hundreds of Catholic schools, hospitals and charities. The Archdiocese also operates the well-known St. Joseph's Seminary, commonly referred to as Dunwoodie. The Archdiocese of New York is the metropolitan see of the ecclesiastical province of New York which includes the suffragan dioceses of Albany, Brooklyn, Buffalo, Ogdensburg, Rochester, Rockville Centre and Syracuse. The process of beatification and canonization has undergone various reforms in the history of the Roman Catholic Church. For current practice, as well as a discussion of similar processes in other churches, see the article on canonization. This article describes the process as it was in 1914, before the promulgation of the Codex Iuris Canonici of 1983. Marianne Cope, also known as Saint Marianne of Molokaʻi, was a German-born American religious sister who was a member of the Sisters of St Francis of Syracuse, New York, and administrator of its St. Joseph's Hospital in the city. Known also for her charitable works, in 1883 she relocated with six other sisters to Hawaiʻi to care for persons suffering Hansen's Disease on the island of Molokaʻi and aid in developing the medical infrastructure in Hawaiʻi. Despite direct contact with the patients over many years, Cope did not contract the disease. A postulator is the person who guides a cause for beatification or canonization through the judicial processes required by the Roman Catholic Church. 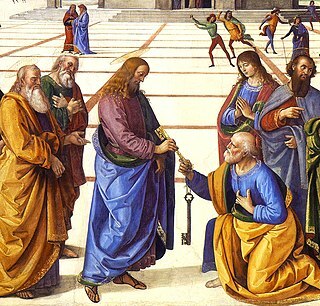 The qualifications, role and function of the postulator are spelled out in the Norms to be Observed in Inquiries made by Bishops in the Causes of Saints, which has been in effect since 7 February 1983. A petitioner seeking the beatification may appoint as postulator anyone, cleric or not, who is an expert in theological, canonical and historical matters, and versed in the practice of the Congregation for the Causes of Saints, subject to the approval of the bishop. 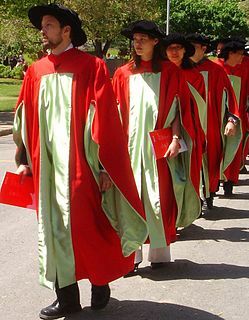 The major religious orders, such as the Franciscans, Dominicans and Jesuits, appoint members of their orders as postulators-general who are available to act for petitioners in causes and who develop reputations as experts in their field. The later stage of a cause requires the postulator to reside in Rome, which also favors the assignment of the postulator's role to such a postulator-general, since most religious orders maintain their headquarters in Rome. Saint Pedro Calungsod, also known as Peter Calungsod and Pedro Calonsor, was a Roman Catholic Filipino migrant, sacristan and missionary catechist who, along with the Spanish Jesuit missionary Diego Luis de San Vitores, suffered religious persecution and martyrdom in Guam for their missionary work in 1672. 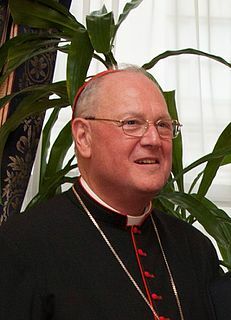 Timothy Michael Dolan is an American cardinal prelate of the Catholic Church. Appointed by Pope Benedict XVI, Dolan serves as the tenth and current Archbishop of New York. John Joseph Cantwell was the first archbishop of the Roman Catholic Archdiocese of Los Angeles. Blessed Stanley Francis Rother was an American Roman Catholic priest from Oklahoma who was murdered in Guatemala. Ordained as a priest for the Archdiocese of Oklahoma City in 1963, he held several parish assignments there until 1968 when he was assigned as a missionary priest to Guatemala where he was murdered in 1981 in his Guatemalan mission rectory. 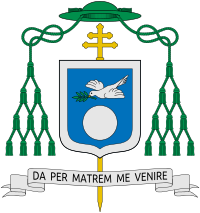 Blessed Marcelo Rafael José María de los Dolores Hilario Spínola y Maestre was a Cardinal of the Roman Catholic Church who served as the Archbishop of Seville. He established the Handmaids of the Divine Heart. Alfredo María Aranda Obviar is a Filipino Venerable venerated in the Catholic Church. His cause for beatification is currently underway; he was declared Servant of God on 6 March 2001 with saint protocol number 2398. He is the founder of Missionary Catechists of Saint Thérèse of the Infant Jesus, and was Bishop of Lucena until his death. 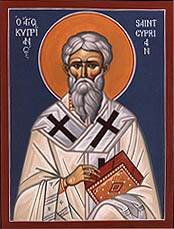 He was named as Venerable by Pope Francis on 7 November 2018. María Beatriz del Rosario Arroyo y Pidal was a Filipino nun and the founder of the Dominican Sisters of the Most Holy Rosary of the Philippines. John Joseph Maguire was an American clergyman of the Roman Catholic Church. He served as auxiliary bishop (1959–1965) and coadjutor archbishop (1965–1980) in the Archdiocese of New York. Teofilo Bastida Camomot was a Roman Catholic Archbishop from the Philippines. Ordained a diocesan priest of the Archdiocese of Cebu on 14 December 1941, he was eventually appointed an auxiliary bishop on 23 March 1955 and receiving the titular see of Clysma. He became coadjutor archbishop of the Archdiocese of Cagayan de Oro on 10 June 1958, becoming titular archbishop of Marcianopolis. While waiting for then-archbishop James Hayes to retire, Archbishop Camomot resigned for health reasons on 17 June 1970. He was killed in a vehicular accident in San Fernando on 27 September 1988 at the age of 74. The cause for the canonization of Pope Paul VI, who died in 1978, commenced in 1993 and he was canonized on October 14, 2018. After having been proclaimed a Servant of God and declared Venerable, he was beatified on 19 October 2014, after the recognition of a miracle had been attributed to his intercession, and declared a saint by Pope Francis I on October 14, 2018. 1 2 3 4 5 6 "Fulton Sheen Biography and Inspiration". Archbishop Fulton John Sheen Foundation. Retrieved May 16, 2010. 1 2 3 "Archbishop Fulton John Sheen". Catholic-Hierarchy.org . David M. Cheney. Retrieved January 21, 2015. ↑ "Biography of Fulton J. Sheen - The Catholic University of America". fulton-sheen.cua.edu. 1 2 "Archbishop Fulton J. Sheen" . Retrieved September 14, 2009. ↑ Rodgers, Ann (August 29, 2006). "Emmy-winning televangelist on path toward sainthood: Sheen would be 1st American-born man canonized". Chicago Sun-Times. HighBeam Research. Archived from the original on October 25, 2012. Retrieved July 16, 2012. ↑ "Fulton J. Sheen". Nndb.com. Retrieved July 7, 2012. ↑ Otterman, Sharon (June 29, 2012). "For a 1950s TV Evangelist, a Step Toward Sainthood". The New York Times. Retrieved July 5, 2012. ↑ "The Venerable Fulton J. Sheen: a model of virtue for our time". News.va. Pontifical Council for Social Communications. June 30, 2012. Retrieved July 5, 2012. 1 2 3 4 5 6 7 8 9 "Bishop Fulton Sheen: The First "Televangelist"". Time. April 14, 1952. Retrieved January 21, 2011. ↑ Fulton J. Sheen. Treasure in Clay, Ch. 2 "The Molding of the Clay", p. 9, 1980 . 1 2 3 "About Fulton J. Sheen". Fulton J. Sheen website. Archived from the original on October 20, 2007. Retrieved December 20, 2007. ↑ Sheen, Fulton John. "The Spirit of Contemporary Philosophy and the Finite God." Thèse de doctorat – Université catholique de Louvain, 1923. ↑ Encyclopedia of American Religious History. p. 921. ISBN 978-0816066605 . Retrieved March 3, 2013. ↑ "Archbishop Fulton J. Sheen obituary article from the Catholic Post". Allendrake.com. Retrieved December 30, 2013. ↑ "Fulton J. Sheen, Catholic Champion". Catholiceducation.org. Retrieved July 7, 2012. ↑ James Hennesey, S.J., American Catholics, Oxford University Press, 1981, 255. ↑ "Radio Religion". Time . January 21, 1946. Retrieved March 30, 2009. ↑ St. Fultie, The Next American Saint? Archived May 31, 2012, at the Wayback Machine Brennan, Phil, www.newsmax.com, December 14, 2004. Retrieved June 11, 2011. ↑ Watson, M. A. (1999). "And they said Uncle Fultie didn't have a prayer". Television Quarterly, 30(2), 80–85. 1 2 3 4 Bearden, Michelle (January 24, 2009). "Mass Today Promotes Sheen For Sainthood". Tampa Tribune. p. 10. ↑ Mikkelson, Barbara and David P. "Stalin for Time: Did Bishop Fulton Sheen foretell the death of Stalin?" Snopes.com, August 8, 2007. ↑ Briton Hadden; Henry Robinson Luce (1952). Time. Time Incorporated. p. 52. 1 2 3 4 5 6 7 8 9 10 Fulton J. Sheen (2008). Treasure in Clay: The Autobiography of Fulton J. Sheen. Doubleday. ↑ James H. Willbanks, "Vietnam War Almanac", Facts on File, Inc. (2009), p. 215. ↑ "The Cause for Canonization". The Catholic University of America. Retrieved July 5, 2015. ↑ "Biography of Fulton J. Sheen – The Catholic University of America" . Retrieved January 4, 2017. ↑ "Archbishop Fulton J. Sheen Museum". Catholic Diocese of Peoria. ↑ "Archbishop Fulton John Sheen Spiritual Center". Archbishopfultonsheencentre.com. Retrieved December 30, 2013. ↑ [https://www.youtube.com/watch?v=h_oMkQY2ico Martin Sheen on Why He Changed His Name & Emilio Estevez on Why He Didn't Change His Name. The Hudson Union. Youtube (evidently excerpted from Inside the Actors Studio, 2003. ↑ "The Director's Corner – Archbishop Fulton J. Sheen". Archbishopsheencause.org. Retrieved July 7, 2012. ↑ Decrees of the Congregation for the Causes of the Saints, June 28, 2012. Vatican Information Service, June 28, 2012. 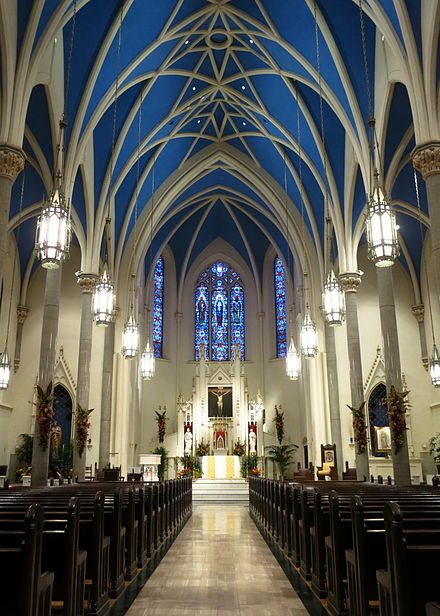 ↑ "The Catholic Post : Article – Entries sought for sacred art show planned in Rock Island". Cdop.org. January 29, 2012. Retrieved July 7, 2012. ↑ "Archbishop Fulton Sheen Foundation". Fultonsheen.blogspot.com. Retrieved December 30, 2013. ↑ "Celebrate Sheen!". Celebrate Sheen!. Retrieved December 30, 2013. ↑ "World needs Archbishop Sheen's example of faith, virtue, says homilist". Catholic News Service. September 11, 2012. Archived from the original on January 18, 2013. Retrieved December 30, 2013. ↑ "Archbishop Fulton Sheen Foundation: Press Release". Archbishop Fulton Sheen Foundation. March 6, 2014. Retrieved March 6, 2014. ↑ Teahan, Madeleine. "Fulton Sheen and the Miracle of Baby James." CatholicHeraldcouk. N.p., 1 July 2014. Web. 28 Mar. 2015. ↑ "Fulton Sheen sainthood effort halted". ↑ STAFF, PANTAGRAPH. "Sheen sainthood process suspended". ↑ Foundation, Archbishop Fulton Sheen (June 14, 2016). "Press Release June 14, 2016". Archbishop Fulton Sheen Foundation. Retrieved June 30, 2016. ↑ "Matter of Cunningham v Trustees of St. Patrick's Cathedral (2018 NY Slip Op 00815)". www.courts.state.ny.us. ↑ "Civil court rules Fulton Sheen's remains can go to Peoria". ↑ This book was Sheen's response to Rabbi Joshua L. Liebman's 1946 best-seller Peace of Mind. Reeves, Thomas C. (2001), America's Bishop. The Life and Times of Fulton J. Sheen. Encounter Books, San Francisco. Riley, Kathleen L.(2004), "Fulton J. Sheen: An American Catholic Response to the Twentieth Century". St/Paul's/AlbaHouse, Staten Island. Sherwood, Timothy H. (2010), The Preaching of Archbishop Fulton J. Sheen: The Gospel Meets the Cold War. Lexington Books. 137 p.
Winsboro, Irvin D. S., Michael Epple, "Religion, Culture, and the Cold War: Bishop Fulton J. Sheen and America's Anti-Communist Crusade of the 1950s", Historian, 71,2 (2009), 209–233. Wikimedia Commons has media related to Fulton J. Sheen . Archbishop Fulton Sheen: 200 talks given by Archbishop Fulton Sheen available in MP3 format, along with streaming video of his Family Retreat in color.